In this day and age, we're fully aware of the fact that beauty starts on the inside, both literally and figuratively. Literally speaking, what we put in our bodies has just as much of an effect on our hair, skin, and nails as what we slather on our bodies. Case in point: the current craze over beauty supplements. 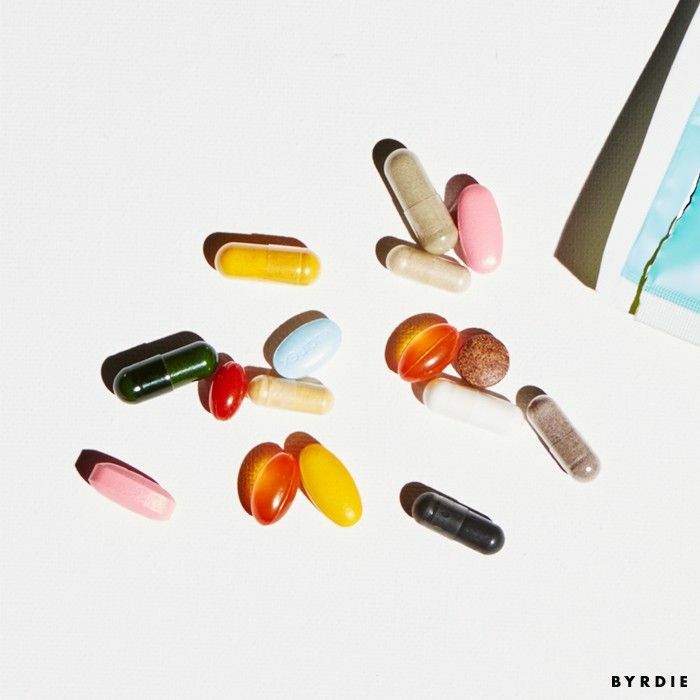 These chews, gummies, and pills boast ingredients we formerly associated only with skincare, like biotin and collagen, and promise to plump up our skin, help our hair grow to Selena Gomez lengths, and give us nails as hard as diamonds. It's hard not to believe the hype (we admit, we're guilty of it too). The only question—are these companies telling the truth? It turns out there's very little research that supports the link between these beauty supplements and their claims. To investigate, we spoke with Dr. Luke Bucci, VP of research and development at Ritual, a nutrition company; and Dr. Josh Zeichner, director of cosmetic and clinical research in dermatology at Mt. Sinai Hospital in NYC. We asked them to share the "beautifying" vitamins that are, in their opinion, the most overrated. Word to the wise: You may want to put down that collagen drink. Keep scrolling to see the most overrated beauty vitamins, according to the experts. Thanks to incessant sponsored Instagram posts and general beauty buzz, we now associate biotin with long, shiny hair. Except, well, maybe we shouldn't. "Found in almost every beauty and skin formula, biotin has never actually been shown to benefit skin appearance or health, outside of rare deficiency diseases," explains Dr. Bucci, much to our dismay. Biotin, also known as vitamin B7 or vitamin H, is naturally found in foods like salmon, leafy greens, and egg yolks. Since it plays a part in cell growth, people have long touted its ability to help hair grow to Rapunzel-like lengths. The thing is, there's very little research that proves it actually does what it claims, unless it's in the case of an extreme biotin deficiency. "When it comes to [using B-complex vitamins for] skin health, anti-aging, and improvement of dark spots, we have little information," Dr. Zeichner says. "The best recommendation is a well-balanced diet rich in vitamins, nutrients, omega-3 fatty acids, and protein." Bucci agrees, saying, "When you see biotin in a supplement, all it's really doing is costing you more and taking up needless space for ingredients that actually make sense!" Oh. Beta-carotene is the orangey-yellow pigment that gives veggies like carrots their rich colors. The human body converts it to vitamin A (retinol), which makes it a precursor of vitamin A. Vitamin A is necessary for a healthy immune system and healthy mucus membranes, which would make you think beta-carotene should lead to those things, too. Not so the case, according to Bucci. "Beta-carotene in very high oral doses (over 100,000 IU when the normal intake is 5000 IU) protects skin from UV damage, but this is an impractical dose with its own set of problems," he says. "In sufficiently high doses, beta-carotene can actually make your palms and soles orange." In other words, there are other, better ways to get better skin that don't involve Oompa Loompa hands. Speaking of vitamin A, we should take that orally for better skin, right? Wrong. "When taken orally, retinol forms of vitamin A have some evidence for helping reduce acne, but only at high doses," Bucci says. "Because these offer some health risks, they’re not recommended for general use. In fact, consuming too much retinol may cause birth defects and bone pain." Zeichner agrees, saying, "High doses of vitamin A, for example can lead to skin dryness and sun sensitivity, and it can affect your liver." Things we don't need our beauty supplements to do: exacerbate our livers, which are already working overtime to compensate for our wine habits. Collagen may as well be called the youth molecule. We're born with it, and as we age, we lose it. Thus, consuming it seems to be a good solution, and that would explain why collagen chews and drinks are so popular… except for the fact that there's no data showing that collagen supplements have any significant impact on skin health. Oops. "In the gut, collagen is broken down into amino acids," Zeichner says. “These amino acids may be absorbed into your blood stream, but it is not clear whether they are at a high enough concentration to truly provide building blocks for new healthy skin collagen." We'll go back to using our dermarollers now, thanks. Vitamin C serums promise to brighten dark spots and dullness, but what about vitamin C taken orally? Bucci explains that vitamin C (also called ascorbic acid) taken in larges doses (1000 to 3000 milligrams daily) can help improve skin repair and healing. However, since such high doses are needed to see effects, he says vitamin C use for the skin has been limited to people who are deficient in it or have recently undergone surgery. Zeichner, on the other hand, says supplementing with high doses of vitamin C by mouth may not actually help skin at all. Until further research is done, we'll keep getting our vitamin C from the foods we eat naturally and in serum form. You might associate zinc as the SPF ingredient responsible for lifeguards' protected noses, but it's also critical for skin repair and healing when taken orally, too, according to Bucci. But there's a catch: it only works if you're zinc deficient. "Just adding extra zinc to help your skin offers no real benefit, with the possible exception of acne," he says. "Plus, it can be easily overdosed, which causes nausea." Keep scrolling to shop some of our supplements, sans false promises. 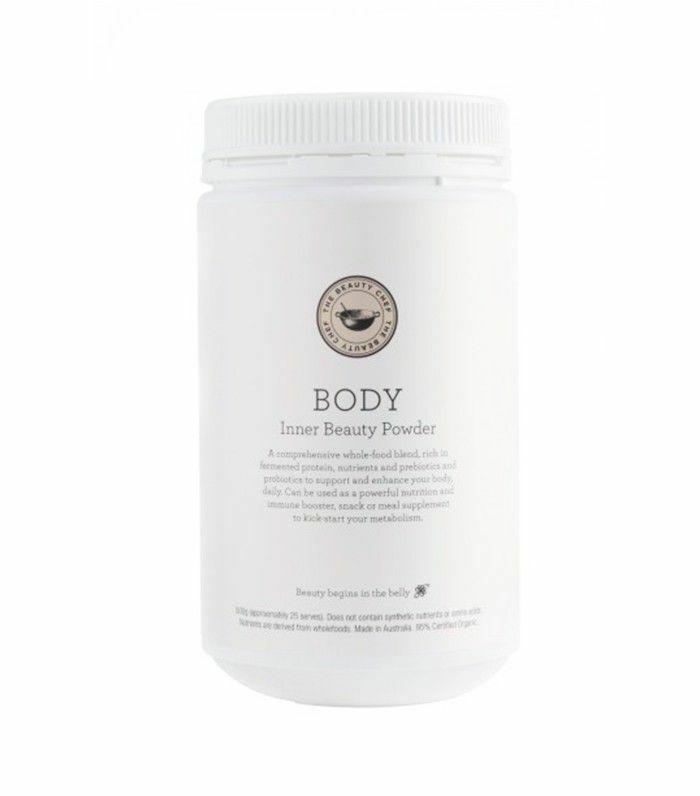 Made with plant proteins, superfruits, veggies, alkalizing greens, probiotics, and more, this vegan powder nourishes your body—and tastes delicious mixed in with your morning smoothie. 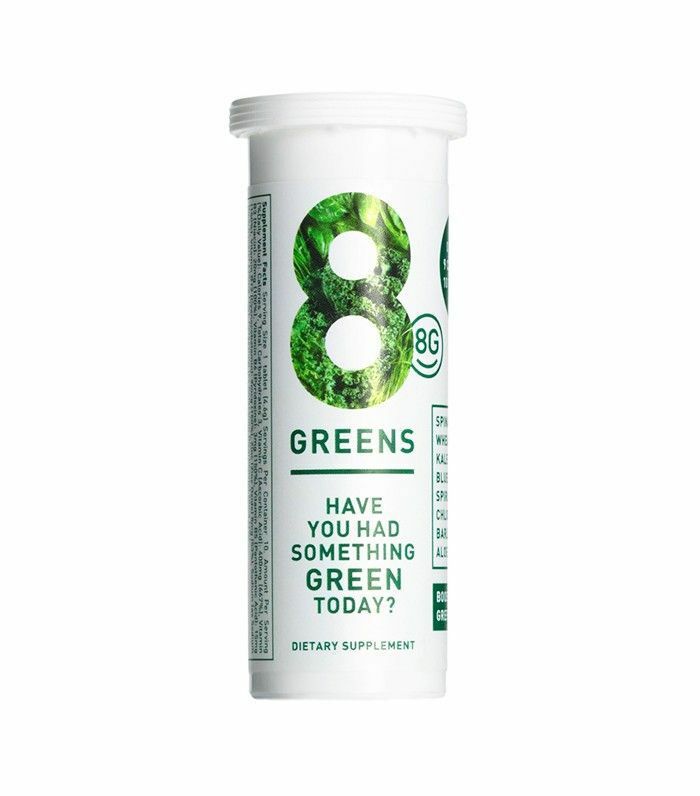 This fizzy tablet tastes like a soda and contains your daily serving of eight essential greens. You can read more about the inspiring story behind 8G here. 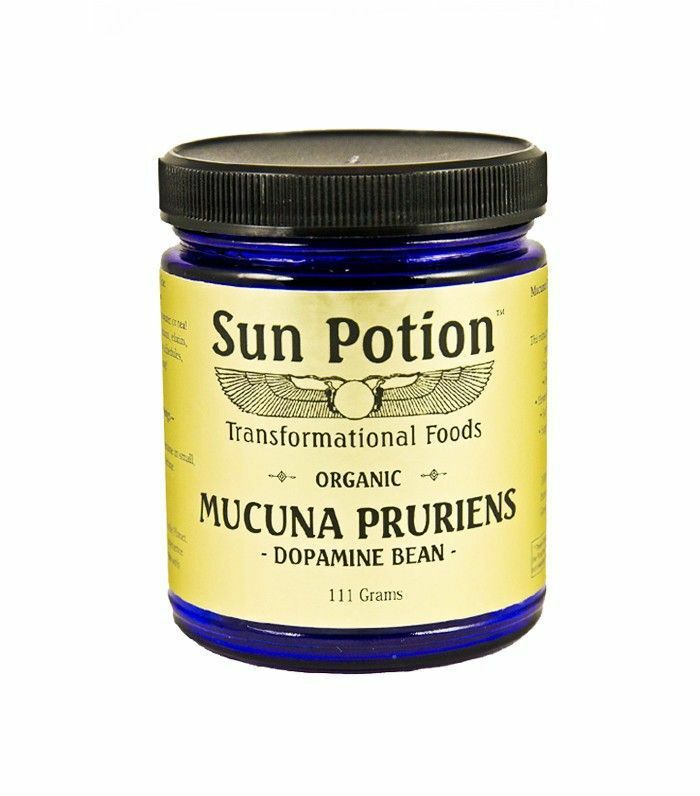 This organic powder is a natural mood elevator and de-stressor made with L-dopa, an amino acid that turns into dopamine in the brain. Dopamine regulates your brain's reward and pleasure centers, and has been linked to better sleep quality and overall well-being. In other words: more, please. Were you surprised by any of these beauty vitamins? Click here to shop the best serums to help your skin glow from the outside.